We are a leading service provider for the C-TPAT Certification Services. Backed by the vast industrial experience we are engaged in offering a qualitative range of C TPAT Certification. The Customs-Trade Partnership against Terrorism program (C-TPAT) is a voluntary and collaborative effort of both the U.S. Department of border protection agency (CBP) and homeland security's customs and companies which seek to increase supply-chain security measures concerning international trade. C-TPAT is a voluntary government-business initiative that builds cooperative relationships to strengthen and improve the international supply chain and U.S. border security. Through this initiative, U.S. Customs and Border Protection is asking businesses to ensure the integrity of their security practices, communicate and verify the security guidelines of their business partners within the supply chain. In short, C-TPAT is a customs trade partnership against terrorism. The C-TPAT certification process is complex and multifaceted. The experts at CDG have a deep understanding of the challenges your company will face and will guide you step by step through the per-evaluation, C-TPAT certification and re-validation processes. Although still voluntary, companies who are not C-TPAT certified will likely be forced to sell their merchandise elsewhere and the wait times at U.S.A.’s borders for inspection and release will be an intolerable financial burden. On April 16, 2002, the Customs Trade Partnership Against Terrorism program known as the C-TPAT program was launched by U.S. Customs and Border Protection (CBP). The main goal of the C-TPAT Certification program is to look after the import supply chain from terrorists that would smuggle for devastation. The C-TPAT Security Profile is an draft of policies, company procedures and controls, choice of import supply chain business partners, hiring practices, information technology, physical security and they function as an application to the C- TPAT program. This is required to have C-TPAT Certification. Those who apply for the C-TPAT program, have to complete paperwork with customized security questionnaires and then direct it to their import supply-chain business partners, like foreign manufacturers or suppliers, transportation service providers, custom brokers and more, for review and recommendation if appropriate. C-TPAT consultant will then visit the domestic facilities and make an assessment, record the policies, procedures and controls that need to be acted upon. The consultant can also update the C-TPAT Security Profile, do the annual assessment and validation phase, and prepare the clients for validation by the CBP. In order to keep pace with changing trends, we are offering a wide assortment of C-TPAT Certification Services. C-TPAT Customs–Trade Partnership against Terrorism is a voluntary and joint government-business partnership to help add to supply chain and increase border security. Supported by a team of skilled professionals, we are able to provide services for C-TPAT Compliance Audit. It is a voluntary government business initiative to build cordial and cooperative relationships with clients that strengthen and improve overall international supply chain. The first step towards C-TPAT certification is conducting a C-TPAT risk assessment of your company and its supply chain. The 2nd step towards C-TPAT compliance is implementation of an effective supply chain security management system that meets requirements of C-TPAT. 3rd step is preparing C-TPAT security manual, C-TPAT security processes & C-TPAT security questionnaires. Providing C-TPAT training and guidance to comply with the requirements of C-TPAT; obtaining the C-TPAT certification and pass the C-TPAT Validation (audit). Our C-TPAT Supply Chain Security Advisors have the expertise and experience in developing a customized supply chain security management system for your company that complies with the C-TPAT requirements. C-TPAT is a joint government-business initiative to build cooperative relationships that strengthen overall supply chain and border security. C-TPAT recognizes that Customs can provide the highest level of security only through close cooperation with the ultimate owners of the supply chain— importers, carriers, brokers, warehouse operators and manufacturers. Through this initiative, Customs is asking businesses to ensure the integrity of their security practices and communicate their security guidelines to their business partners within the supply chain. The Customs-Trade Partnership against Terrorism (C-TPAT) is a key anti-terrorism initiative developed by U.S. Customs and Border Protection (CBP). To qualify for C-TPAT membership, your company must ensure that its security procedures satisfy the minimum security requirements established by CBP.In preparing your response to this questionnaire you should also consider that your participation in the C-TPAT program will facilitate the application process for your customers. Importers are required to have written and verifiable processes for the selection of business partners including manufacturers, product suppliers, and vendors. For those business partners eligible for C-TPAT certification (carriers, ports, terminals, brokers, consolidators, ocean transportation intermediaries and NVOCCs) the importer must have documentation (e.g., C-TPAT certificate, SVI number, etc.) indicating whether these business partners are or are not C-TPAT certified. Upon your company’s acceptance into the C-TPAT program, you will be able to provide the required C-TPAT documentation to your customers. We are offering a wide assortment of C TPAT Certification Compliance to our clients. C-TPAT certification requires that companies meet an extensive checklist of verifiable conditions. The Customs-Trade Partnership against Terrorism (C-TPAT) certification program is a voluntary government program through which importers and exporters can agree to maintain and implement a set of predetermined supply chain security measures and submit to government site visits in exchange for benefits such as expedited review of shipment documentation at the border. C-TPAT certification requires that companies meet an extensive checklist of verifiable conditions. Nevertheless, the survey found that the minimum security criteria were generally viewed as very easy or somewhat easy to implement across the various sectors. The Customs-Trade Partnership Against Terrorism (C-TPAT) certification program is a voluntary government program through which importers and exporters can agree to implement and maintain a set of predetermined supply chain security measures and submit to government site visits in exchange for benefits such as expedited review of shipment documentation at the border. The Customs-Trade Partnership Against Terrorism program (C-TPAT) is a voluntary, collaborative effort of both the U.S. Department of Homeland Security's Customs and Border Protection Agency (CBP) and companies which seek to increase supply-chain security measures concerning international trade. C-TPAT is a voluntary government-business initiative that builds cooperative relationships that strengthen and improve overall international supply chain and U.S. border security. C-TPAT is widely recognized as one of the most effective means of providing the highest level of cargo security through close cooperation with international supply chain businesses. The Customs-Trade Partnership Against Terrorism (C-TPAT) is the first worldwide supply chain security initiative between the United States government and businesses involved in the U.S. import supply chain. C-TPAT aims to make customs security more efficient in securing and inspecting cargo by building cooperative relationships with businesses importing goods at U.S. borders. At a minimum, on a yearly basis, or as circumstances dictate such as during periods of heightened alert, security breach or incident, foreign manufacturers must conduct a comprehensive assessment of their international supply chains based upon the following C-TPAT security criteria To become a member of C-TPAT takes a real commitment of time and resources from a company. As a return the participating companies also get direct and indirect benefits from becoming a member of C-TPAT other then being active in the movement against terrorism. The C TPAT Security Profile is an draft of policies, company procedures and controls, choice of import supply chain business partners, hiring practices, information technology, physical security and they function as an application to the C TPAT program. This is required to have C TPAT Certification. C-TPAT was started in November 2001 as a result of the 9/11 attacks. 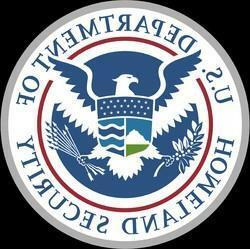 The goal of this program is to establish clear supply chain security for members by extending the U.S. zone of security to the point of origin. C-TPAT, the U.S. Customs –Trade Partnership Against Terrorism, is a voluntary government-business initiative to build cooperative relationships that strengthen international supply chain and U.S. border security.C-TPAT engages with industry by providing certifications to companies that voluntarily agree to adopt and integrate the program's security guidelines into their supply chains. C-TPAT is a US government-business initiative that was introduced in 2001. It is designed to strengthen overall supply chain and border security by working in close cooperation with the key members of the supply chain - importers, carriers, brokers, warehouse operators and manufacturers. Businesses must apply to participate in C-TPAT, which can be done via the US Customs website. Shipments from participants in C-TPAT will be able to move across US borders quicker than non-member shipments, because customs will offer potential benefits to C-TPAT members, most notably a reduced number of inspections (reduced border times). Participants will sign an agreement that commits them to the following actions Conduct a comprehensive self-assessment of supply chain security using the C-TPAT security guidelines. These guidelines, which are available for review on the Customs. Submit a supply chain security profile questionnaire to Customs. Develop and implement a program to enhance security throughout the supply chain in accordance with C-TPAT guidelines. Communicate C-TPAT guidelines to other companies in the supply chain and work toward building the guidelines into relationships with these companies. C-TPAT program is a joint Government-business initiative which helps develop, enhance, and maintain effective security processes throughout the global supply chain. C-TPAT recognizes that Customs can provide the highest level of security only through close cooperation with the ultimate owners of the supply chain, importers, carriers, brokers, warehouse operators, and manufacturers. Through this initiative, Customs is asking businesses to ensure the integrity of their security practices and communicate their security guidelines to their business partners within the supply chain. This program offers businesses an opportunity to play an active role in the war against terrorism. By participating in this first worldwide supply chain security initiative, companies will ensure a more secure supply chain for their employees, suppliers, and customers. CDG is a pioneer company which can help in achieving C-TPAT compliance certification. The U.S. Department of Homeland Security's Customs and Border Protection (CBP) is responsible for securing and facilitating trade and travel across America's borders. Most importantly, the CBP keeps terrorists and their weapons out of the U.S. The CBP's Customs-Trade Partnership Against Terrorism (C-TPAT) is a voluntary government-business initiative to build relationships that help to strengthen U.S. border security and improve the security of the international supply chain. Through this initiative, the CBP asks participating businesses to verify the integrity of their own security practices and the security practices of their business partners in the supply chain. To enroll your company in the C-TPAT program and obtain certification, you must complete an online application. CDG has determined that The Customs-Trade Partnership Against Terrorism (C-TPAT) program is the most effective border security tool available that provides the highest return of investment to our clients including: importers, exporters, carriers, consolidators and manufacturers. We consider C-TPAT certification to be more than just a single event or yearly re validation. It is a level of safe and secure international operating procedures that permeates businesses and eventually becomes part of an institutional standard of performance. C-TPAT is a U.S. Customs program that offers importers special incentives for voluntarily maintaining a higher standard of security practices. Importers that want to join the program must first apply, submit documentation of their security procedures, and then have their practices verified by Customs. Once verified, importers are eligible for reduced border wait times and fast track processing during Customs inspections. How we can help Interested in joining C-TPAT, Let us help you with Preparing your C-TPAT, application and security profile, Drafting your security procedure manual Implementing, your C-TPAT program Educating and training your crew. CDG is a C-TPAT compliance certification firm. C-TPAT Certification is a complicated process, but we are experts with years of experience. We have helped dozens of companies with CTPAT Certification & Compliance. Every eligible company that has enlisted our assistance has achieved C-TPAT Certified status. C-TPAT India places the highest priority on our client relationships. We guide our clients through the entire process of C-TPAT Certification and Validation. Our clients have demonstrated time and again that they have a high level of satisfaction with our services and have shown a willingness to recommend our services to their customers and vendors. CDG assistance to our clients doesn’t end with C-TPAT Certification & Validation. We are now offering a C-TPAT Managed Services program to help our clients fulfill all of the ongoing requirements of managing a dynamic C-TPAT supply chain security program. Backed with years of industry experience, we have been able to offer the finest collection of C-TPAT Certification Services. It is a voluntary government-business initiative to build cordial and cooperative relationships with clients that strengthen and improve the overall international supply chain. C-TPAT (Customs–Trade Partnership Against Terrorism) is a voluntary, joint government-business partnership to help add to supply chain and increase border security. 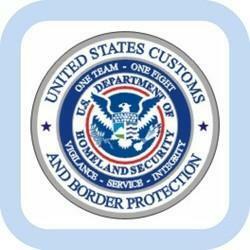 According to U.S. Customs Border Protection (CBP), there are more than 10,000 certified partners. Nearly half of this number are importers. With C-TPAT, CBP is able to realize increased supply chain visibility and better focus resources on higher risk shipments and supply chain participants. jointly developed by Customs and the trade community. Procedural Security, Physical Security, Personnel Security, Education and Training, Access Controls, Manifest Procedures, and Conveyance Security. Customs recognizes that a safe and secure supply chain is the most critical part of our work in keeping our country safe. For this reason, Customs is seeking a strong anti-terrorism partnership with the trade community through C-TPAT. CTPAT, this is a voluntary government – business initiative, with the objective to build relationships to strengthen and improve international supply chain and U.S border security. Through CTPAT, related businesses are able to participate and play an active role in the war against terrorism. Our C-TPAT Awareness Training: About C-TPAT Program; Explanation on the Certification Requirement (reference: CDG CTPAT audit checklist); and On-Site System Review. We also cover a customer’s compliance with C-TPAT and when periodic auditing of their commercial processes is due. This extends to the compliance of security systems and procedures of prospective, or contracted, third party suppliers, manufacturers, freight forwarders and similar service providers. CTPAT members are considered lowrisk and are therefore less likely to be examined. This designation is based on a company's past compliance history, security profile, and the validation of a sample international supply chain. C-TPAT is a highly recognized application that has been developed and launched by CBP, and many companies are participating to this in the USA and see the mutual benefit. So if you are an importer, why not become C-TPAT certified, as you see the values that it can add to your company. The C-TPAT program is one of continuous improvement. If there are shortfalls, companies will design action plans, with the assistance of their Customs account managers, that reflect their C-TPAT commitments. Companies will track their progress in fulfilling the required security improvements. CDG is leading company for C-TPAT compliance in India. Please contact us for getting ready for CBP audit.